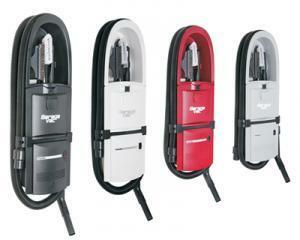 For an even sleeker look and space savings, choose the wall mounted Garage Vac flush mounting option. 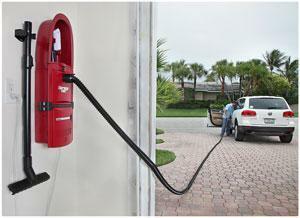 Recesses into any 4 inch space and the hose and accessories are right at your fingertips. 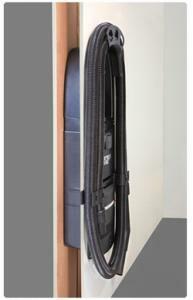 GarageVac is mounted into the wall saving your valuable floor space. The GF-120 is designed to be mounted flush (recessed) into a 2x4 interior wall, a cabinet or any other stable surface. The unit does not have a electric cord attached and must be hard-wired to an electrical outlet or circuit breaker for proper electrical connection. It is easy to install, simply follow the instruction on the provided paper template. 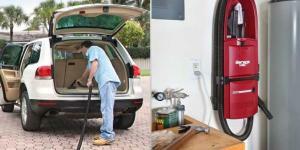 Create your own car detailing shop and save space. Designed with the garage in mind, GarageVac helps you organize your space and gives you all the tools you need to keep it clean. Includes our unique 40 foot stretch hose, adjustable telescoping aluminum wand, crevice tool, dashboard brush, upholstery tool and floor tool. The unique stretch hose shrinks from forty feet to just eight feet for easy storage. All GarageVac accessories are designed for optimal space saving. It is supplied with a 5-1/2 foot electric cord.